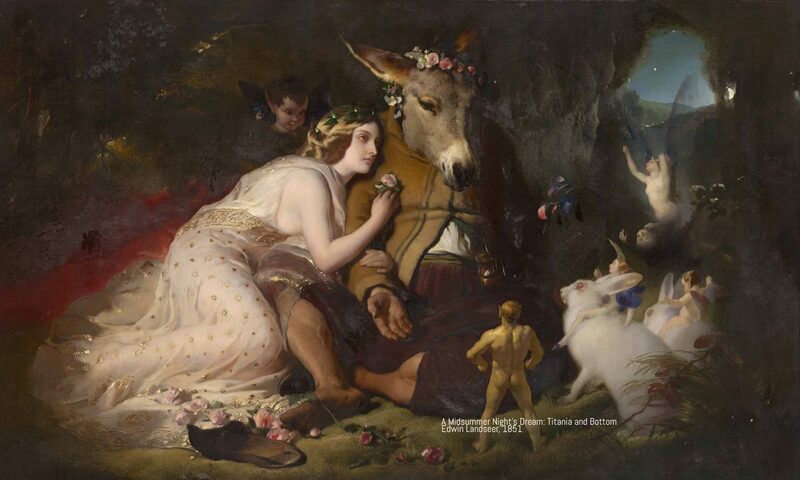 Uncanny dreams and deathly sleep haunt the most famous lovers in literary history. 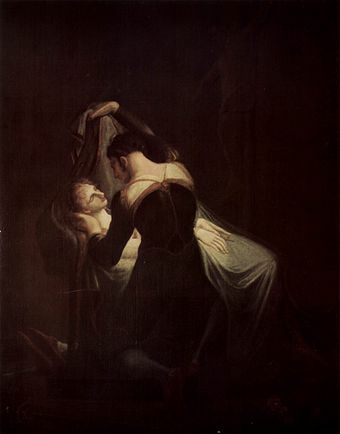 The woeful story of Juliet and her Romeo has several ominous references to beds, sleep, and dreams. These nocturnal elements reflect the tension between the passionate yearnings of the young lovers and the tragic fate that awaits them. As Friar Laurence vainly warns, “these violent delights have violent ends.” Romeo and Juliet discover both ecstatic delights and annihilating ends in the darkest, dreamiest realms of night. In one of the early scenes of the play (currently in production at the Oregon Shakespeare Festival, with Emily Ota as Juliet and William Thomas Hodgson as Romeo), a moment of witty banter suddenly turns into a long, weirdly unsettling monologue about the nature of dreaming. It is, I believe, the most extensive treatment of dreams in all of Shakespeare’s works, and it encapsulates in a single surreal passage the inspiring-yet-terrifying energies of human dream experience. Romeo: I dreamt a dream tonight. Mercutio: And so did I.
Romeo: Well, what was yours? Mercutio: That dreamers often lie. Romeo: In bed asleep, while they do dream things true. Romeo believes his dream is warning him of danger in the future. Mercutio is more interested in the party, however, and he tries to deflect Romeo’s gloomy prognostication with a sharp-edged jest: he lures Romeo into asking him if he really had a dream, and then calls into question the veracity of anyone who claims to have a dream to tell. But Romeo has a strong feeling about the potential significance of his dream, and he tries to persuade Mercutio to take it seriously. Mercutio: And in this state she gallops night by night through lovers’ brains, and then they dream of love; O’er courtiers knees, that dream on curtsies straight; O’er lawyers fingers, who straight dream on fees; O’er ladies’ lips, who straight on kisses dream. What Mercutio describes is quite similar to the continuity hypothesis of dreaming, which states that people tend to dream most frequently about things that emotionally concern them in waking life. Lovers dream of love, courtiers dream of kneeling in court, lawyers dream of receiving money from clients—whatever is most important in a person’s life, that’s what they’re most likely to dream about. Mercutio describes other examples of Queen Mab’s dream-stimulating activities: she tickles a minister’s nose, and he dreams of a financially secure job; she drives over a soldier’s neck, and he dreams of cutting enemy throats. The common thread throughout these examples is that dreams are personalized reflections of people’s current concerns and not, as Romeo assumes, prophecies about the future. In this regard, Mercutio’s speech is a remarkable anticipation of a modern psychological theory about dreaming. Here, Shakespeare condenses several folk-beliefs about the dark forces behind dreaming. Queen Mab morphs into a relentless incubus or night hag who tangles hair, presses on bodies, preys on fears, and forces sexual submission. She is the embodiment of all the nightmarish powers set loose within our sleep, and she devotes especially malicious attention to the torments of “sluttish” young women. The physiological effects described here could, in modern terms, be diagnosed as night terrors, with the sensation of pressure and feelings of overwhelming fear. They could also be explained in terms of psychoanalytic theory: Queen Mab is the primal Id of the human unconscious, running wild through our dreams while the ego slumbers in blissful ignorance. Most productions of the play have Mercutio delivering these final lines of his speech in a manic frenzy, as the fairies’ malevolent mayhem threatens to overwhelm him. The OSF version, with the incandescent Sara Bruner as Mercutio, follows that traditional staging, but with an intriguing gender twist that gives the speech a deeper level of emotional resonance. Romeo: Peace, peace, Mercutio, peace! Thou talk’st of nothing. After dwelling at such length on the wondrous exploits of Queen Mab and her fairy consorts, Mercutio abruptly concludes with a rejection of dreaming as a whole. A modern materialist could not express any more eloquently the idea that dreams are sheer nonsense. Here, Mercutio is anticipating the basic themes of neuroscientific reductionism, another strand of current thinking about dreams that treats them as the disordered and meaningless by-products of an “idle brain” during sleep. In the context of the play and this particular scene, Mercutio’s claim is not very persuasive, since he just spent several minutes giving a highly detailed account of the meaningful connections between people’s dreams and their waking lives. Indeed, his belated rejection of dreaming seems more like a desperate attempt to deny what he has just openly acknowledged to be real and true. He’s trying to put the lid back on the magic box, but it’s too late. 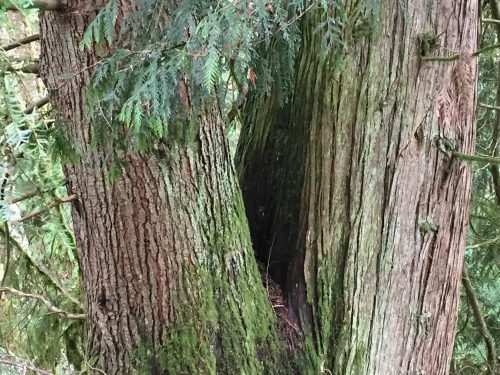 The fairies have already escaped. So this is Romeo’s frame of mind when he puts on his mask and walks into the party at the Capulets. He is deeply depressed about his unrequited love for Rosaline; he just had a very worrisome dream portending some future ill; and his friend nearly goes mad talking about the supernatural powers of malicious mischief set loose in our dreams. Plus, he knows that if his true identity is discovered, he will likely be killed. By entering the party, Romeo is entering a perilous, uncertain, and potentially transformative space. Capulet’s wife: Tell me, daughter Juliet, how stands your disposition to be married? Juliet: It is an honor that I dream not of. Juliet’s reply is both modest and diplomatic. As an obedient and virtuous daughter, she accepts that her parents will decide when, where, and to whom she will be pledged in the sacred bond of marriage. Until that time, the topic is the farthest thing from her mind, something that does not even appear in her dreams. Her reply also includes a subtle degree of reluctance to think about marriage at this stage of life. Her nurse has just given a long and rambling speech, the upshot of which is that Juliet is not yet 14 years of age, barely past childhood. But Juliet’s mother insists that other “ladies of esteem” in Verona are married by this age and already bearing children, as did she when she first married Juliet’s father. Juliet speaks very few lines in this scene, which is fitting since she really has no say in any of these choices or decisions. She dreams of none of this because she has no agency, no creative investment in any of it; it all happens to her, by decree of her parents, leaving her imagination no reason to wonder about alternative possibilities. So this is Juliet’s frame of mind when she puts on her mask and joins her family’s feast. After dwelling on the fact that she is currently 13 years old, she is informed by her mother that she has reached a marrying age, that a particular gentleman has already expressed his romantic interest in her, and that said gentleman is present in their home right now, ready to secure her affections. Thanks to the nurse’s bawdy commentary, she cannot avoid the reality that she will be expected to engage in sexual relations with him. Thus when she goes to the party, Juliet enters a perilous, uncertain, and potentially transformative space. And once there, she meets Romeo. Their magical first encounter surprises them both; this is not what they were expecting when they walked into the party. Completely forgetting the people they were supposed to seek (Rosaline for Romeo, Paris for Juliet), they almost instantly fall in love with a masked stranger, in a moment of mysteriously intense romance. Juliet: Go ask his name.—If he be married, my grave is like to be my wedding bed. This is the first of many instances in which Juliet and other characters make symbolic connections between beds, sleep, and death. These references are also intertwined with the bed as a physical space for passion, love, and the creation of new life. The grave and the wedding bed—they occupy opposite ends of an existential spectrum, and yet in this story they inexorably draw towards each other and finally merge into a tragic unity. Romeo: O blessed, blessed night! I am afeard, being in night, all this is but a dream, too flattering-sweet to be substantial. Romeo: Sleep dwell upon thine eyes, peace in thy breast! Would I were sleep and peace, so sweet to rest! 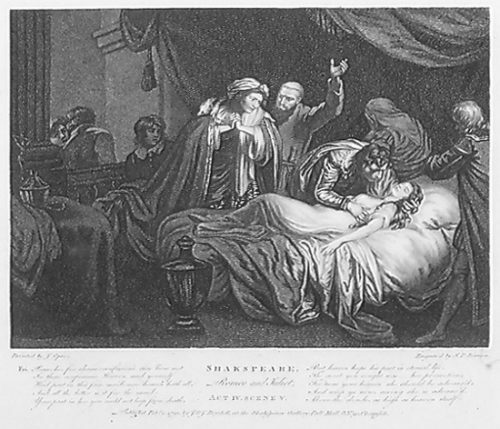 Romeo and Juliet finally get to celebrate their marriage with a “love-performing night” together in her bed (III.v), and they lament the coming of the day (Romeo says, “I must be gone and live, or stay and die”). Friar Laurence: And in this borrowed likeness of shrunk death thou shalt continue two and forty hours, and then awake as from a pleasant sleep. Now, when the bridegroom [Paris] in the morning comes to rouse thee from thy bed, there art thou dead. Paris: Sweet flower, with flowers thy bridal bed I strew—O woe! Thy canopy is dust and stones. Friar Laurence: I hear some noise. Lady, come from that nest of death, contagion, and unnatural sleep. Juliet: This is thy sheath; there rest, and let me die. Romeo: If I may trust the flattering truth of sleep, my dreams presage some joyful news at hand. My bosom’s lord sits lightly in his throne, and all this day an unaccustomed spirit lifts me above the ground with cheerful thoughts. I dreamt my lady came and found me dead (strange dream that gives a dead man leave to think!) and breathed such life with kisses in my lips that I revived and was an emperor. Ah me! How sweet is love itself possessed, when but love’s shadows are so rich in joy! But at another level, perhaps the dream is leading Romeo towards an awareness of a different realm of union with Juliet, a transcendent realm where he will be “an emperor,” and where life will conquer death. For the truth is, there is no hope in the present waking world for him and Juliet, not with their families’ violent hatred of each other. Romeo’s dream offers him an alternative way of understanding what the future is about to bring. Their love is, by its very existence, a miraculous triumph over the rigid constraints that govern their lives. They have successfully defied the social authorities and asserted their own desires for romantic fulfillment. Their kisses have the power to transport them beyond the petty feuds of this world to a beautiful and joyful world all their own. Romeo notes the strange element in his dream of a dead man thinking living thoughts. Today we might call this a variation on metacognition in dreaming, a type of “thinking about thinking.” Here, it’s Romeo thinking about what he would be thinking if he were dead. This seems impossible from a conventional waking perspective, just as it’s impossible that he could ever actually become an emperor in the waking world. But these things are possible in the realm of dreaming, and this suggests an expansion of normal awareness, a dissolving of ordinary boundaries, and the discovery of new potentials beyond the limits of the present. That does seem to be the tangible effect of the dream on Romeo once he awakens. It breaks through his fears, lifts his spirits, and stimulates a welcoming attitude towards the future. For one last moment he feels pure lightness and joy, and he revels in the wonders of his love for Juliet. Is that a cruel deception, or a profoundly truthful vision? Romeo: I think he told me Paris should have married Juliet: Said he not so? Or did I dream it so? Balthasar probably did say so, but for Romeo it could equally have been a dream; all are one in his mind now. 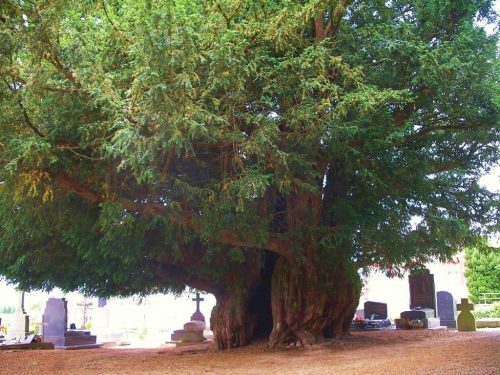 Balthasar: As I did sleep under this yew-tree here, I dreamt my master and another fought, and that my master slew him. The staging of the scene leaves Balthasar’s exact position unclear (“I’ll hide me hereabout”), so we don’t know if he saw or heard Romeo and Paris while they were fighting; either way, Balthasar’s dream accurately reflects what did in fact happen in the tomb. In both instances during this final climactic scene of the play, the distinction has dissolved between dreaming and waking reality. Dreams have become transparent to the actuality of what’s happening in this world. That is the final, spiritually illuminating context for Romeo’s joyful dream and its flattering truth about the eternal love he shares with Juliet.